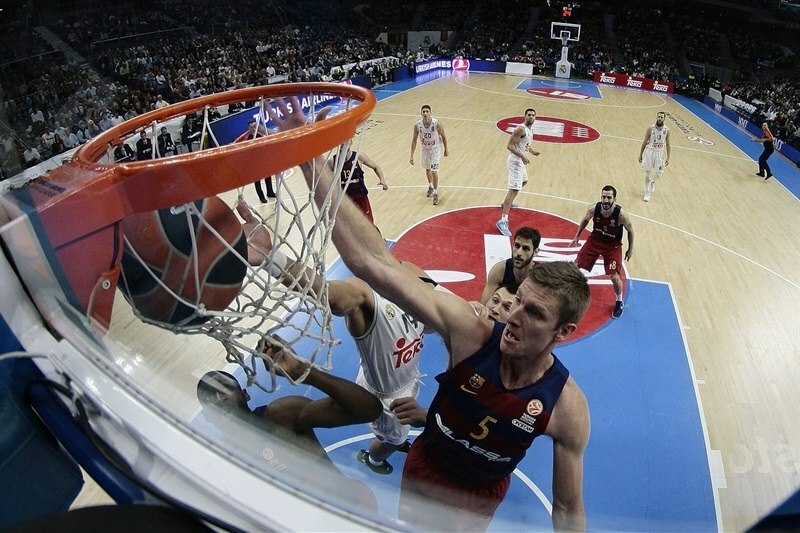 Doellman lights up Madrid to give Barcelona victory at the buzzer! 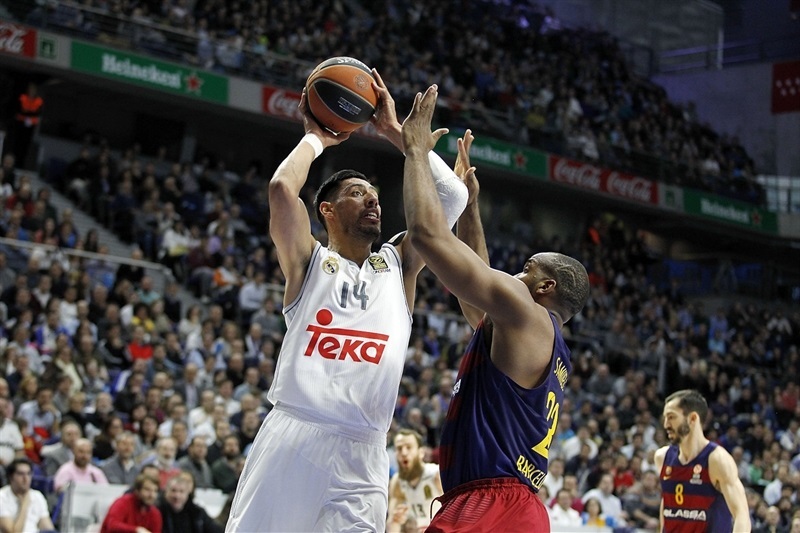 In a Spanish "clasico" that lived up to its name - and then some - Justin Doellman's fadeway swish on the final buzzer lifted FC Barcelona to a thrilling 86-87 road win over archrival Real Madrid in the Game of the Week on Thursday. Both teams are now 2-2 in Top 16 Group F, which will be good for a second- or third-place tie at the end of Round 4. Doellman's was the third buzzer-beater in a remarkable game of swings. 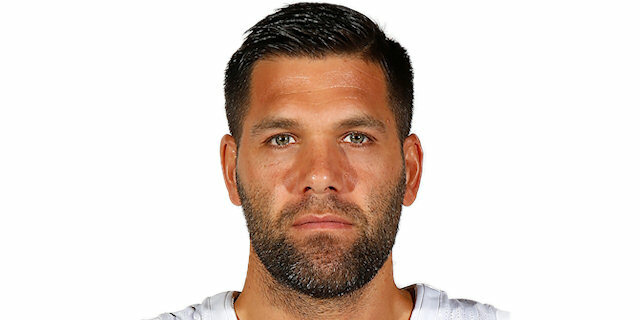 Real Madrid used an 18-0 first-quarter fueled by Sergio Rodriguez to take control of the scoreboard and lead by as many as 16 points, 48-32, shortly before halftime. 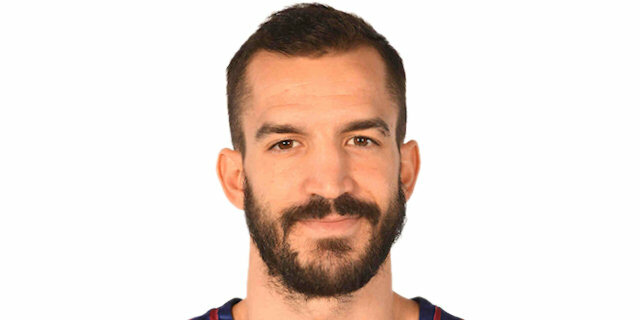 After Juan Carlos Navarro left the game with an injury, Stratos Perperoglou willed Barcelona back with 13 third-quarter points that set up Doellman's go ahead triple to open the fourth. The lead went back and forth until Madrid was up by 85-80 going into the final minute. 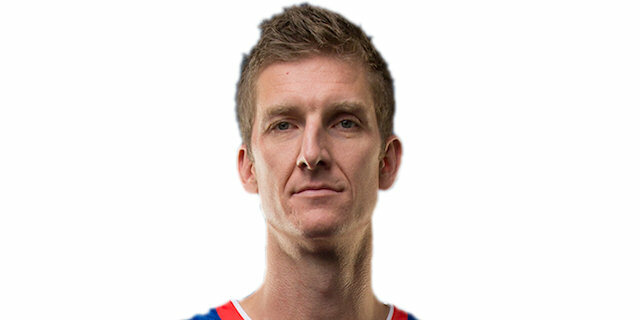 But the hosts then left Doellman alone to make his sixth three-pointer in as many attempts. 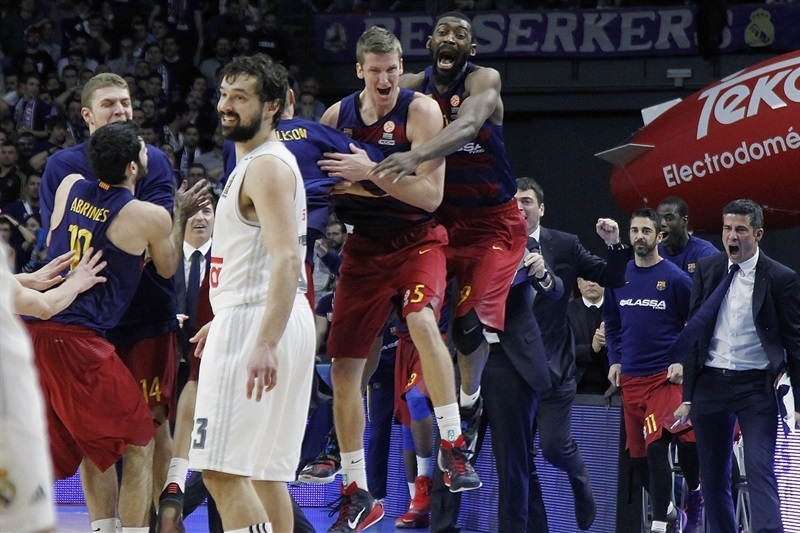 Pau Ribas tied it 85-85 with 2 perfect free throws before Felipe Reyes made just 1 of 2 with 8.8 seconds left and Barcelona got the ball to Doellman to win it in dramatic fashion. Doellman finished with a career high 24 points on 6-for-7 three-point shooting. Perperoglou followed him with 13 points and Navarro 12, while Shane Lawal had 10 off the bench. 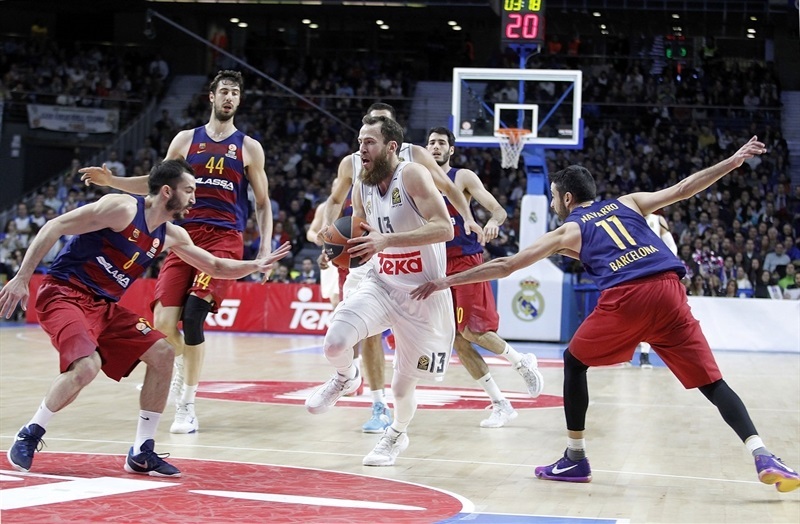 Sergio Rodriguez led Madrid with 18 points and 13 assists, the latter tying his Euroleague career high. 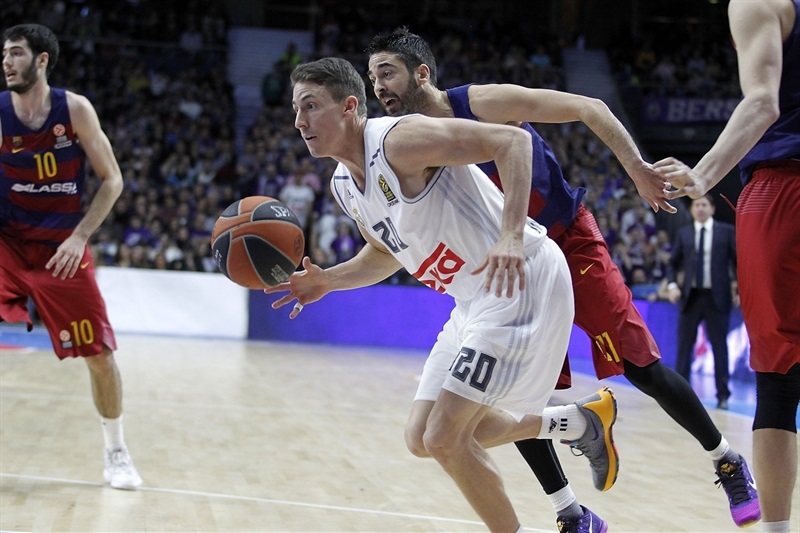 Jaycee Carroll and Felipe Reyes added 14 points each, Sergio Llull returned from injury with 13 and Gustavo Ayon had 12. FIRST QUARTER: Llull caps Madrid blast! In the game's first minute, Doellman banged in a pair of three-pointers, one from the wing and another from the corner, while Madrid committed as many turnovers. Navarro waltzed to the basket for a layup before Reyes opened Madrid's account after 2 minutes and 30 seconds, but Doellman answered with a two-point jumper at 2-10. Ayon hit a longer jumper before Madrid's crowd got excited for the first time with a transition triple by Rodriguez. Carroll got in the act with a runner and then pulled the triggered on a three-pointer running off a screen to give Madrid its first advantage, 12-10. Ayon's steal put Jonas Maciulis at the free throw line for 2 more points. Rodriguez found Ayon with a long pass for a reverse and then scored himself to make it 18-10. After a Barcelona timeout, Rodriguez kept it going with a fastbreak layup before Lawal's 2 of 2 free throws snapped Madrid's 18-0 run. Ayon answered with a jump hook, but Brad Oleson ended Barcelona's long five-minute stretch without a field goal by burying a corner triple. 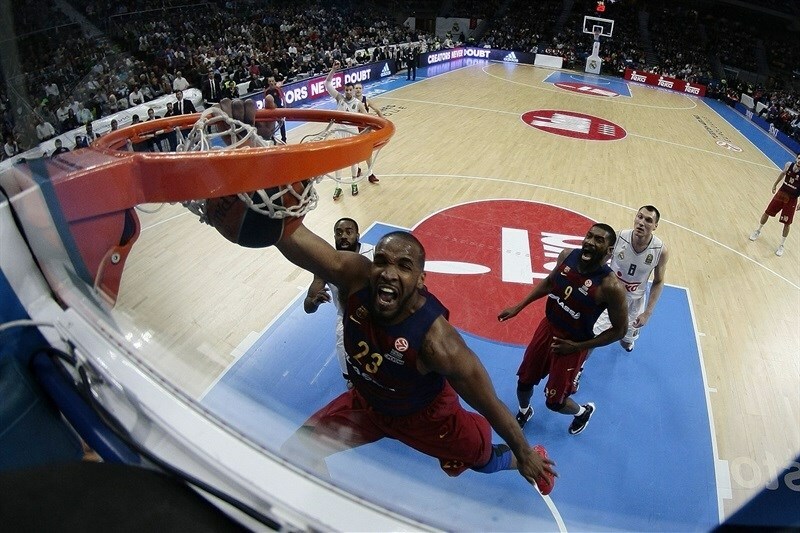 His next time down the floor, Oleson fed Samardo Samuels for a soaring super-slam, forcing a Madrid timeout at 22-17. Ayon finished a broken play with a fastbreak layup before the quarter could finish with Llull, on his first Top 16 shot after an injury, beating the buzzer with one of his patented triples for a 29-17 scoreboard after 10 minutes. K.C Rivers joined Madrid's scoring with a jumper to open the second quarter. Lawal ripped and put back an offensive rebound before Andres Nocioni chased down a blocked shot and fired it in from the corner to make it 32-19. Barcelona left Llull open to add a three-pointer to the lead before Alex Abrines answered for Barcelona with an inside basket and then Tomas Satoransky fed Samuels for another easy slam. When Navarro dropped a lane jumper, Barcelona was within 35-25, but then Rodriguez re-appeared from the arc with a strike for Madrid. Abrines went 2 for 2 at the foul line before Rodriguez took over. First he went behind his back to split the defense and feed Reyes for a basket. Then he sent Satoransky's sprawling and drilled a shot from downtown that Navarro copied at the other end. Then Rodriguez sent another assist through three Barcelona defenders to Reyes. By that time Madrid was up 45-32. After a Madrid timeout, Ayon fed Llull in the corner for a triple and the game's biggest lead, 48-32. Navarro got 2 points back in free throws, and after Llull missed twice from the arc, the visitors found their own buzzer-beater, Doellman, for a quarter-ending triple and a 48-37 halftime score. Madrid used its Rodriguez-to-Reyes connection to open the second-half scoring. Navarro fired in a super-long triple for Barcelona, which soon got another from the corner by Perperoglou. But in between, Ayon tipped in a long alley-oop pass from Rodriguez and finished a closer one from Reyes. When Reyes got to the foul line himself, he restored a double-digit lead at 55-45. 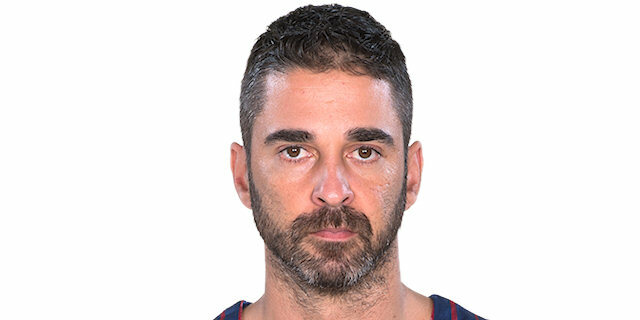 Worse news for Barcelona was Satoransky's triple ruled too late for the shot clock as Navarro went back and forth to the locker room after being treated for knee problems. Even when Lawal made a huge block, the ball ended in the hands of Maciulis, who buried a three-pointer at 58-45. 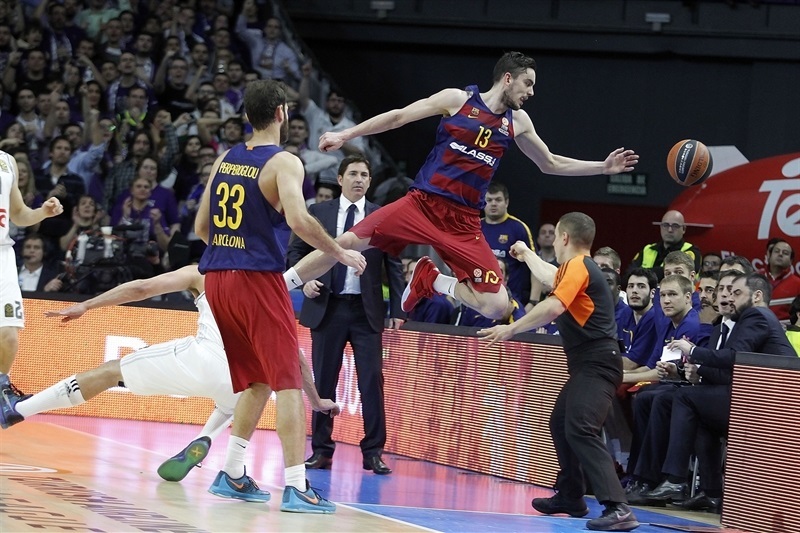 Perperoglou re-started Barcelona with a jumper, but Nocioni saved a possession with another triple, Madrid's 10th. 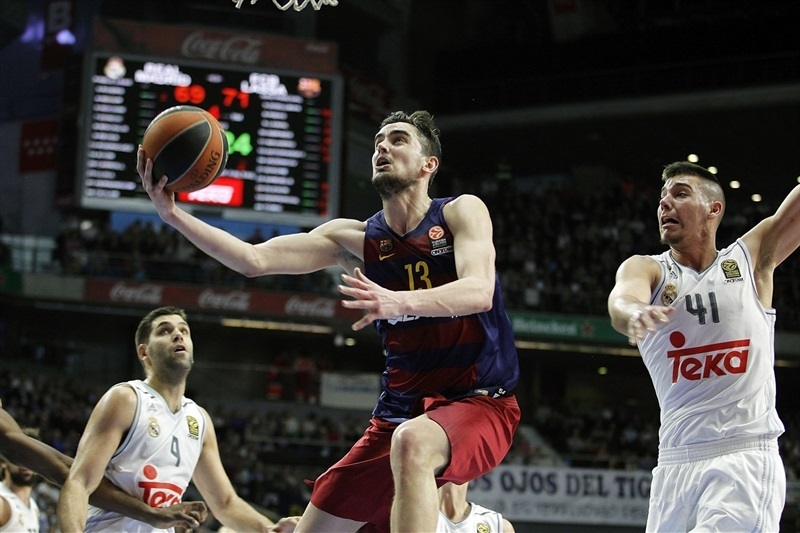 Satoransky was left open to hit Barcelona's eighth, however, and Ribas drove through Madrid's defense for a layup to cut the difference to 61-52. Satoransky kept it going with a lefty layup high off the glass, then Perperoglou buried a triple in transition to make it 61-57. After a timeout, another Madrid turnover led to another Perperoglou open jumper, this a two-pointer at 63-59. Llull answered in the lane, but Perperoglou couldn't be stopped as he struck again from the corner and got the visitors within 63-62 after three quarters. FOURTH QUARTER: Doellman does it all! Perperoglou's save set up Doellman for a triple that was worth Barcelona's first lead since the opening quarter, 63-65. After Ante Tomic and Willy Hernangomez exchanged baskets inside, Llull and Doellman did the same. Samuels returned for a loose-ball dunk but Carroll answered with a stop-and-pop jumper to keep Madrid close at 69-71. Satoransky broke down the middle of Madrid's defense for a layup, but Carroll answered in kind at the other end. And when Samuels fed Lawal for a layup, Carroll went the other way and buried a corner triple to make it 74-75 with just over 5 minutes left. Out of a timeout, Carroll went to the baseline and drilled a runner over two defenders, giving Madrid the lead back, but Lawal's put-back at the other end flipped it. So did a driving layup by Rodriguez, and then a three-pointer by Doellman - his fifth - at 78-80. Ayon hustled for an offensive rebound at the other end and shoveled pass to Rodriguez for a go-ahead triple. Then Rodriguez fed Reyes for a layup to make it 83-80 and force a Barcelona timeout with 1:40 to play. Next, Rodriguez fed Ayon behind the back for an 85-80 lead, but Madrid's defense left Doellman alone for his sixth three-pointer. 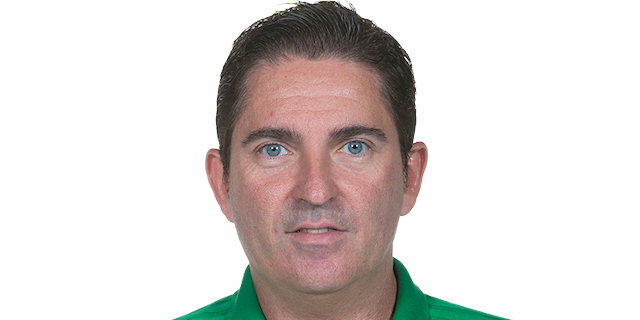 After a miss by Carroll, Madrid chose to foul and Ribas made both his free throws for an 85-85 tie with 9.3 seconds left. 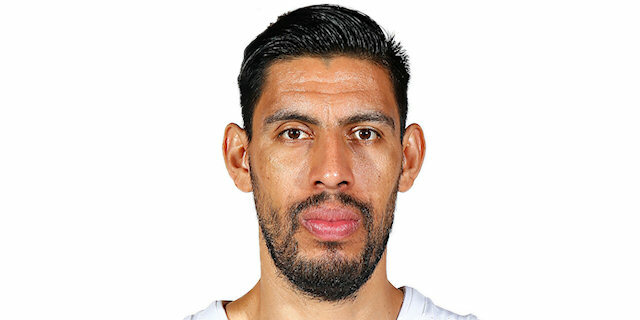 After another timeout, Barcelona immediately fouled Reyes, who made just the second of his pair at the foul line, leaving 8.8 seconds for Barcelona to operate with. 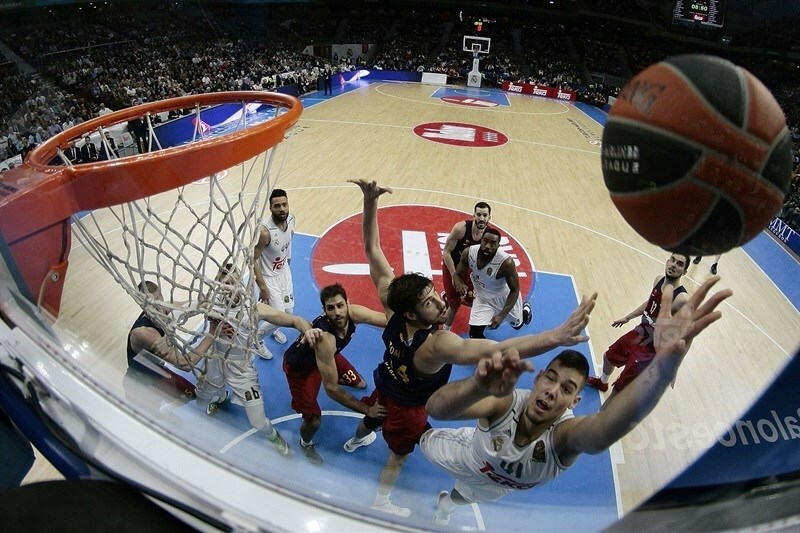 Ribas crossed halfcourt, drove the lane and passed out to Doellman, who ignored the three-pointer, moved to the elbow and faded away to hit his second buzzer-beater, and the game-winner, for a jubilant FC Barcelona Lassa! "I would like to congratulate Barcelona for its win. It was a cruel end of the game for us, losing it with a last-second basket. It is cruel for us, but that's it. My first message to my players as soon as this game was finished was: we have 10 more to play whether we won or lost this one. It is something that we must try to get out of our minds. We are in a difficult group in which you have to take one game at a time. We lost this one and must keep taking steps forward. As for the game, I believe that our game was good in general terms, with a few mistakes and Barcelona capitalizing on some of them. There was a moment in which we stopped playing in the third quarter, on defense and offense. We were not able to keep the same rhythm and they returned to the game. Even with that, we were able to stay in the game and get an 85-80 lead, I think, but in such a balanced game, it goes down to small details. In this case, Barcelona made better decisions." "We are happy with this win. I believe this is a day to also congratulate Real Madrid; everyone who watched the game will agree it was one of the best games of the season. Both teams played had good and bad moments, but both teams combined for 49 assists and I think that shows the kind of game we saw today. We managed to keep our composure in the first half even when we were down by 11. We were calm and knew we had to improve our game, if we had done well or not, and think about what was coming next. We found the mental path to return to the game and I think we did it. We only had 4 turnovers in the second half and improved under the board, allowing just 7 offensive rebounds. We played better, in general, in the second half and won the game. Navarro got hit driving to the basket in the second quarter. We tried to take him to the bench but he couldn't continue. He has pain in the right knee and that did not allow him to return. We will see how it evolves in the next few hours." "It was an important game for us and it hurts to lose it. We have to think about what is coming next, the games we have ahead, take the positive things we did and improve the mistakes we made. We have to be working to be better. We know this is a very, very tough group, but we cannot use it as an excuse. Home games are a priority for us, we cannot let them go. We knew it was going to be a difficult game and we have to move forward, there are many games left to be played in this group." "We played a very good first half, with good defense and very good offense. We also played well in the second half, but made some mistakes and they capitalized on those. In the end, we managed to return to the game and get what they wanted - a close game down the stretch. They took the win because I missed a free throw attempts and they hit a great shot at the buzzer. It is very important to keep winning at home. I said before this game that it was key to be strong at home and try to win all the games. Nobody likes to lose in the final second, but I think we did a good job and deserved to win, too. Congratulations to Barcelona; they knew how to play in those final minutes. We have to keep working hard, practicing the way we did this week. It is not the end of the world. We still have to play a lot of games and have to win our next two home games before we go on the road and try to keep winning." "It was a very important win for us. We were very close to being 1-3, but now we are 2-2, which is very important for us. It was a great team win tonight and we are happy with it. My teammates find me in the right positon and I give them credit. It was a team win, I am very happy with it and there at the end, we were able to get a victory, which is very important for us. Hopefully we will continue this rhythm." "We had a tough calendar, travelling to Piraeus, Moscow and now Madrid. This is a very important win for us. You know you can lose on the road in the Euroleague, but when you lose many in a row, you need a win no matter what. A last-second victory always gives you a lot of confidence for the upcoming weeks. When the team was 15 down against a team like Real Madrid, knowing that we were not playing well when we had to come back, we changed our mentality and played a great game." "I am happy for this win. As for my injury, I hope it is nothing big, but I couldn't stay in the game and the team worked very well without me in the second half. Winning a Clasico the way we did is very important. Winning on the road is going to be very difficult from now on. Laboral beat CSKA at home today. Each road win is very important and you have to be strong at home. I don't think I have a serious injury. I was feeling really good and the team improved after that. I hope it is nothing big because I want to carry on playing."